Jonas Frykman and Orvar Löfgren, Culture Builders: A Historical Anthropology of Middle-Class Life, trans. by Alan Crozier (New Brunswick: Rutgers University Press, 1987). Martin Melosi, "The Place of the City in Environmental History." Environmental History Review (Spring 1993), 1-23. Annabelle Sabloff, Reordering the Natural World: Humans and Animals in the City (Toronto: University of Toronto Press, 2001). Raymond Williams, The Country and the City (New York: Oxford University Press, 1973). Eugène Atget, hosted by J. Paul Getty Museum. Online exhibit of the work of the famous French urban photographer. Atget's photographs of Parisian streets and storefronts are invaluable since they record landscapes lost to urban expansion. Includes a gallery of 72 images (with commentary). H-Urban, hosted by H-Net, Humanities and Social Sciences online. Discussion network for historians, social scientists, and others interested in urban history and urban studies. Searchable by topic and discussion thread. H-Environment, hosted by H-Net, Humanities and Social Sciences online. Discussion network for historians, social scientists, and others interested in human interactions with nature and the environment. Searchable by topic and discussion thread. 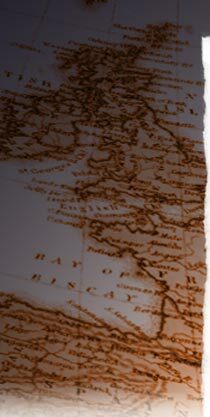 European Society for Environmental History, a scholarly society founded in 1999 that promotes environmental history in Europe. Environmental History Timeline, created by Dr. William Kovarik and hosted by Radford University. Extensive timeline of important dates in environmental history. Although the focus is primarily on the United States, the timeline also provides an overview of international developments affecting the environment. Also includes extensive bibliographic references.